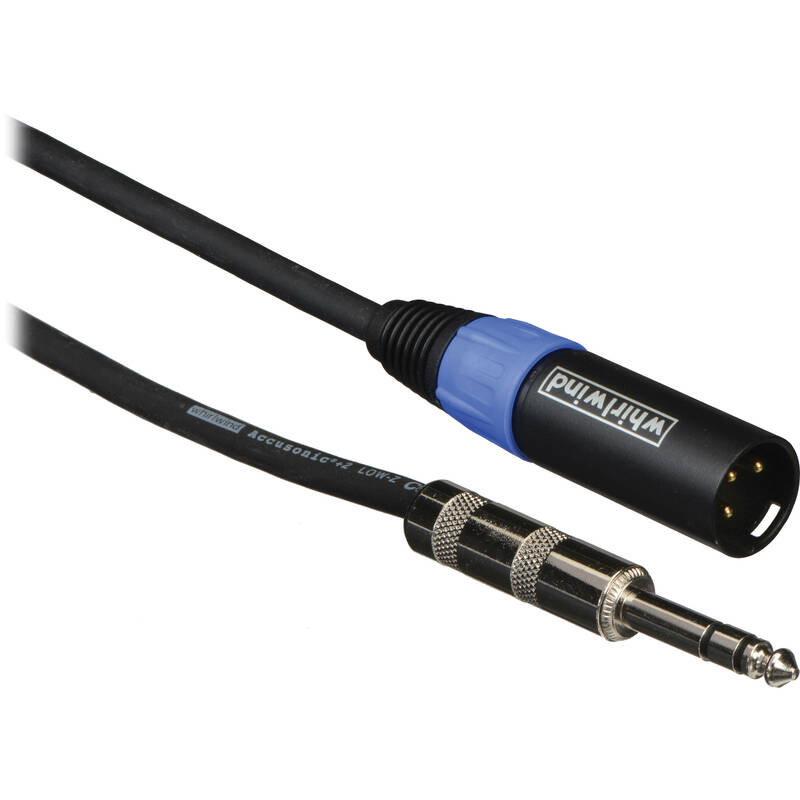 The ten-foot STM10 from Whirlwind is a balanced 3-pin male XLR to 1/4" male TRS adapter cable, suitable for microphone- or line-level use. The cable is wired with pin 2 hot. STM10 - 3-Pin Male XLR to 1/4" Male TRS Balanced Cable (10') is rated 5.0 out of 5 by 1. Rated 5 out of 5 by Zach from Built like tanks, beautiful clean sound I use these guys going line out of my interface either straight into my speakers or going to the board at bigger events.